If only life were one big party. 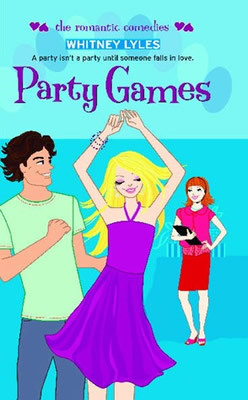 Sara would be looking forward to her sixteenth birthday, but thanks to her mom's party planning business, she's way too wrapped up in someone else's: spoiled socialite Dakota London's. Sara would much rather spend her summer hanging out with Ian, an up-and-coming guitar player and her new crush. But Sara is so busy catering to Dakota's every wacky whim, she's got no time to spend with him. And then, the icing on the cake: Dakota wants Ian to be her date for the big bash, and she wants Sara to play matchmaker! Sara's not sure she's game for this task, especially because she thinks she's falling for Ian. Will this birthday end up more bitter than sweet?